Weekly Special There are 5 products. 50% off, Easter sale! 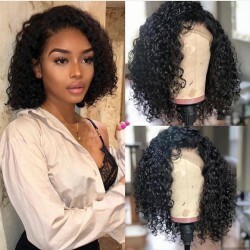 order ASAP Hair texture: water wave Pic length:20 inch Hair color: natural color 200% density! Baby Hair: Along the perimeter to give the effect of a naturally growing hairline Bleached Knots: Along the perimeter to make the hairline even more undetectable In stock! 50% off, Easter Sale! Order ASAP! Hair texture: beach wave Pic length:18 inch Hair color: natural color 200% density! Free parting Pre-plucked hairline, bleached knots, gives most natural looking!